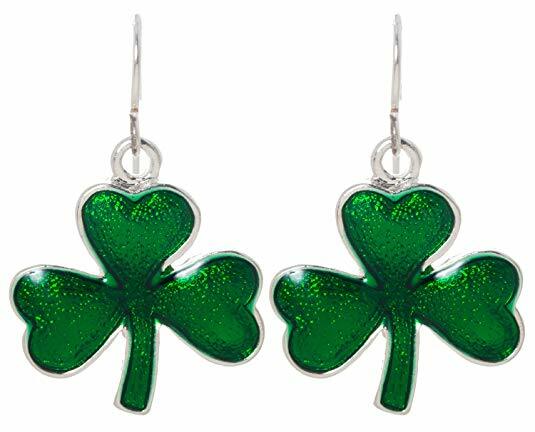 Find some luck with these Irish shamrock earrings! Each earring features three clover leaves. Sport this set with casual and office apparel for an undeniable Celtic glamour. These earrings dangle from french style hooks and are lead and nickel free for sensitive ears.